Gamasutra: Felipe Pepe's Blog - Learning the Video Game Canon - How to deal with over 40 years of backlog? Learning the Video Game Canon - How to deal with over 40 years of backlog? I pity future game journalists, designers and researchers. Scorpia was skillful and charming, but she also had time on her side – she basically saw the genre be born and followed it as it grew, covering it for over 16 years. Moreover, she had the historical context of playing games on release, on an actual Apple II, Commodore 64, early IBM PC and whatnot. By the time I began playing, these computers were already replaced by their 16-bit successors. Yet I remember my father's Amiga 500, swapping floppies (5¼ and 3½), typing C:\EOB\EOB.EXE on MS-DOS to play Eye of the Beholder, pressing the TURBO button on a 386, buying a 4x CD-ROM drive, wishing for a Roland MIDI synthesizer, being marveled at FMVs (they WERE cool!) and all that jazz. I bought Fallout 1 on release, and still remember being shocked by the "HUMONGOUS" installation option, which copied the whole CD (about 650MB) to the HD – "that's insane, my entire HD has like 500MB!". That game came out in 1997. Someone around college age nowadays wasn't even born back then. These experiences, much like going to a cinema with an live orchestra playing or recording songs from the radio on your cassette tape, are now lost to the average person. That's somewhat sad, but rather inevitable. One must be cautious not to become a grumpy old man, teary-eyed for when simply loading a C64 game on tape could take 10 minutes. However, there's one undeniable advantage: playing games as they were released. If 2016 alone saw the release of over 4207 games on Steam, how can a youngling in 2017 learn our history and get up to speed with over 40 years of releases? How can one get acquaintance with the "Game Canon"? The current "solution" is that we don't talk seriously about this. As happens with many online debates, any real conversation is lost between "trolls" and echo chambers. Either "everyone is doing their best" or "THESE GODDAMN KIDS KNOW NOTHING!" The most common deflection is the old "games are too long". Every medium faces this backlog challenge, but while a movie takes ~2 hours to see, a game can take up to 100 hours to finish, so it's absurd to expect a young game critic to be as knowledgeable on older works as a young movie, music or book critic. This argument stands on one leg: finishing a game = knowing that game. Say you've beaten Super Mario 64 grabbing all the 120 stars. Awesome, you probably feel quite confident about your knowledge of the game, you feel like you truly mastered it! How much time must pannenkoek2012 have played/researched SM64 and debated it with other players and speerunners to acquire this level of knowledge? Can you properly write about SM64 without knowing anything about “scuttlebug transportation” or "quadruple parallel universes"? Sure, this is an extreme example, as these are all speedrun gimmicks that will never appear during regular play. But, still, isn't relevant to know that SM64 holds all these possibilities? Are you really qualified to talk/write/criticize SM64 if you know nothing about all this? "Do you even know whom you face?" Let's take a less extreme example: Baldur's Gate 2. Baldur's Gate I - BG2 is (obviously) a sequel, and not only many plot points begin in BG1, but you can import your BG1 party into BG2 as well. Clearly you should play it. Replayability - BG2 has a lot of content that requires multiple playthroughts to see. I.e., there are eight possible strongholds, ranging from temples to a castle, a theater company, a druid grove or even a planar sphere. Which you get depends on how you play and your main character's class. Same for the 17 (!) companions, all which have personal quests and gender-specific romances. Difficulty - The game offers five difficulty levels: Novice, Normal, Core Rules, Hard and Insane. D&D - Baldur's Gate uses the 2nd ed. AD&D rules, but cuts some parts of it and adapts combat from turn-based to Real-Time-with-Pause system. You can play it without knowing D&D rules (relying on a massive 264-pages long manual), but can you judge how well the rules were adapted? How faithful the system is? What is THAC0? Faerûn - The game is set on the Forgotten Realms, and while it does a good job of introducing it to players, only tabletop veterans will know who Elminister and Drizzt Do'Urden are, recognize the Shadow Thieves or be able to debate how well BioWare handled Drow society's rules. Mods - Baldur's Gate Trilogy fuses BG1&2 into a single game using the same engine, Stratagems of Sword Coast improves the game's battles even further, Unfinished Business restores cut content, Ascension was done by one of BioWare's own writers (David Gaider) to alter the ending and the insane BiG World Project is a guide on how to install over 400 mods without compatibility issues. Enhanced Editions - Both BG1 and BG2 were re-released recently in "remastered" form, with new UI, fixes, companions, content, etc. Unlike SM64's speedrun tricks, these are mostly elements an average player can come across even during their first playthrough. Apparently simple questions like "should I use mods on my first playthrough? ", "Normal or Core Rules?" or "what's a good party for beginners?" can be quite hard to answer. If simply finishing BG2 can take up to 140hs, how many hours must one invest before they can credibly write about the nuances of Baldur's Gate 2? 500hs? 1000hs? "Brave soul, art thou done?" Simply beating a game does not mean you truly know it. This is valid in any medium – a film reviewer will write his impressions after a single screening, but a film critic will certainly watch it multiple times, trying to get to the soul of the film. But films are passive narrative experiences, every time you watch it it's the same thing. 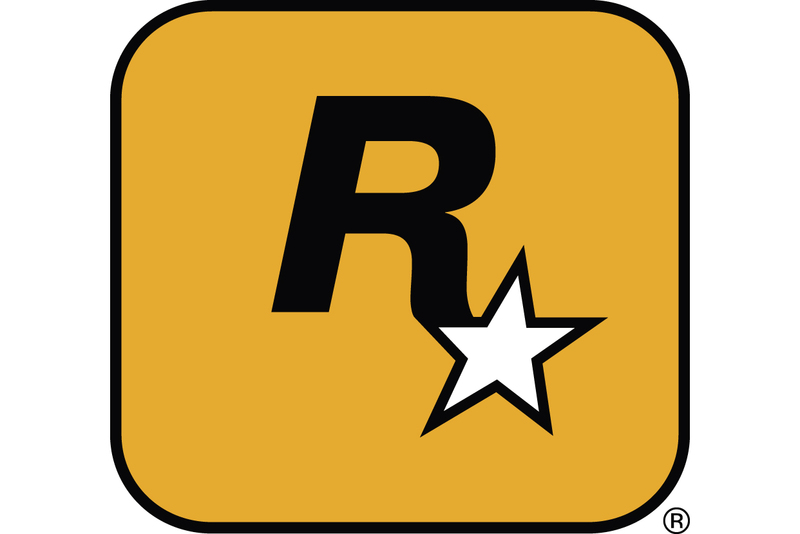 We praise games for being interactive, but often fail to fully grasp the weight such feature carries – "I'll just play it once". Still, while narratives have improved, gameplay is still the core of a game. It's what compromises most of your time with it, and understanding it is as (or more) important as knowing the story it tells. I.e., when Demon's Souls was released, it was something fresh and new – it was hard to properly explain it. But in the few hours it takes to beat the first area, creating your character, exploring the Nexus, climbing the walls of the Boletarian Palace and defeating Phalanx, any player would "get it". 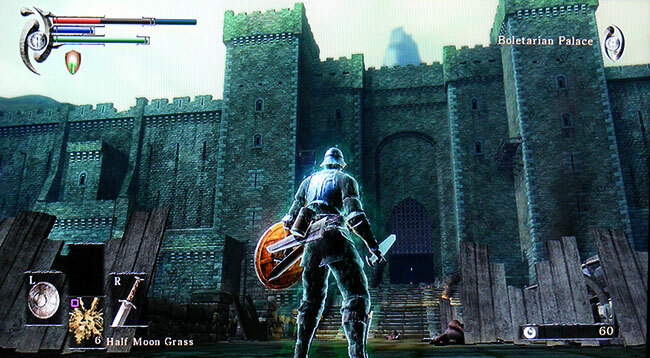 That's the core Demon's Souls experience. Most games have these moments – not when the tutorial ends, but when everything clicks together and you understand your goals & the gameplay loop – usually after beating the first area/boss. ...but now you're aware the game exists, and what it plays like. 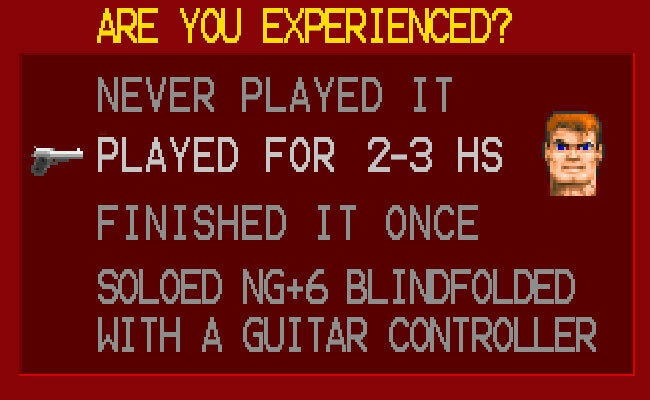 The key here is the first gap: going between "never played it" and "played for 2-3 hs" is the most important part – it's the difference between having no idea how a game plays and understanding it, even if just a bit. Moreover, it's the simplest gap to bridge. Finishing Baldur's Gate 2 once can take 140 hours, mastering will take A LOT more, but simply finishing the initial dungeon and walking around for a while will take 2-3 hours and tell you a lot about the game already. 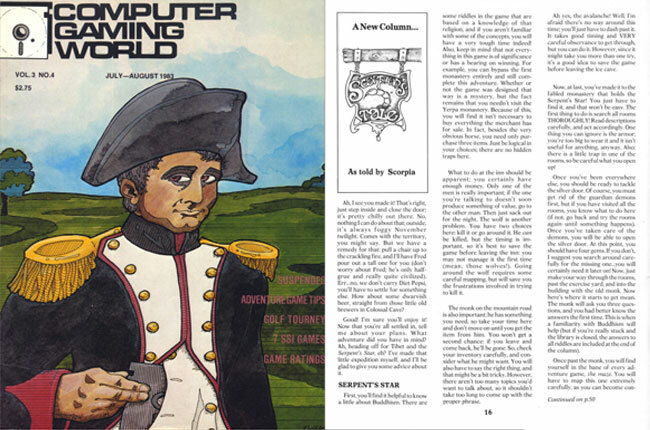 I wrote about this before, but many moons ago I was invited to give a talk on CRPG History to a class of about 20 young aspiring game developers. I started by asking how many had played The Elder Scrolls FIVE: Skyrim. Almost everyone raised their hands. Then I asked about Oblivion. About half had played it. Only two or three knew of Morrowind, and not a single soul had ever played Daggerfall or Arena. Students betting their future on games never even TRIED the early titles of one of the most popular game series of all time. A five game long series, FFS! And both Arena and Daggerfall are freely available on Bethesda's website! The problem stems from several sources: lack of curiosity, the "outdated" aura the press & industry constantly gives to any pre-2000 game, unfamiliarity with older platforms, abandonware controversy, etc... but also fear to engage in a huge perceived task: finishing these massive games. 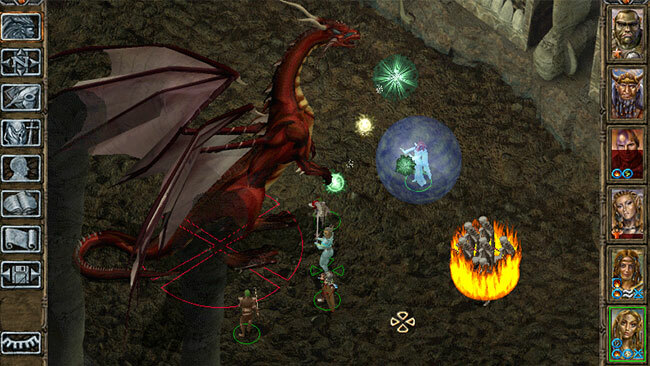 Indeed, HowLongToBeat says a completionist run of Daggerfall takes about 200 hours. Ouch! I wouldn't know. I love Daggerfall, but I never actually finished it – it's too long, gets repetitive later on, creating new characters is more fun, etc. And I don't think you need to finish it either. But you should definitely play it. Because the biggest issue I've seen so far with the ever-growing backlog (and ignorance over it) is not the lack of expertise on specific titles, but rather the lack of basic knowledge on entire genres & eras. You know, like "retro experts" that brag about beating Battletoads but never played a single Apple II game. How many people write about Fallout 4 without ever playing Fallout 1? About Skyrim without ever playing Daggerfall? About Legend of Grimrock without ever playing Dungeon Master or a single 90's blobber? When David Brevik gave a presentation on GDC last year about how Diablo "was when the ARPG was kind of born", how many people listening, reporting and reading that quote had ever played a pre-Diablo real-time ARPG, such as Dusk of the Gods, Shadowlands, Al-Qadim: The Genies Curse or goddamn Ultima 8? It's time we end this farce. Knowing little is better than hiding you know nothing. 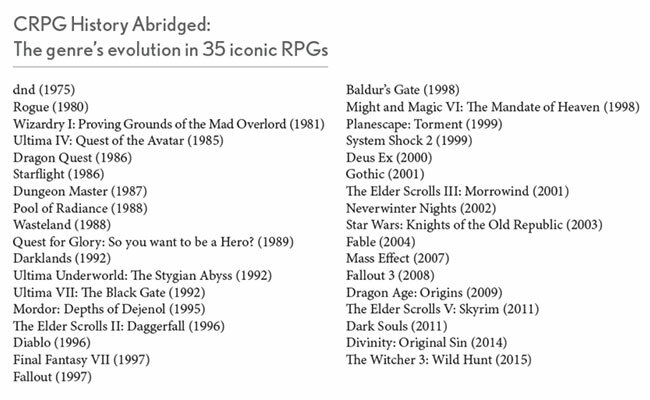 Playing 2-3 hours of each game there would be faster than blindly finishing Daggerfall. And it would give you some notion about the evolution of the genre, paving a roadmap one can return to later. I'm pretty sure that similar lists can be made about other genres, guiding people to at least try out key influential games – likely in less time than it takes to finish an average AAA title. However, it's a first step – a quick overview – and much better than knowing nothing.